Brighton welcome Tottenham to the Amex Stadium on Tuesday night. Will Spurs bounce back from the home defeat to Manchester City and move a step closer to a top-four finish. Who will win? 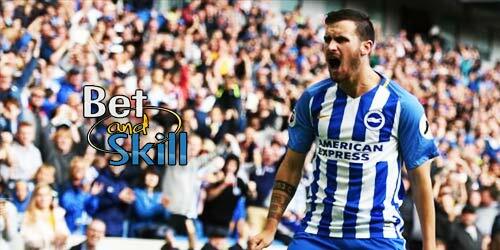 Read here our Brighton vs Tottenham betting preview with predictions, betting tips, expected lineups, team news, enhanced odds, exclusive free bets and no deposit free bets on this clash! Brighton were beaten 3-2 by Crystal Palace in a thriller at Selhurst Park last weekend. The Seagulls have picked up just one point from four Premier League matches and currently sit 13th in the league standings. There are 7 points between themselves and the bottom three, with just five games to go, so they have a fantastic chance of ensuring they are not one-hit wonders in the top-flight. They have managed to take at least a point in 13 of the 17 Premier League matches they have played at the Amex Stadium this season and recently beat Arsenal 2-1 in front of their own fans. Chris Hughton is expected to revert to a 4-4-1-1 formation for the visit of Spurs. As a result, Pascal Gross is likely to play in the central support role, with Glenn Murray expected to lead the line ahead of Leonardo Ulloa and Jurgen Locadia. In midfield, Davy Propper is suspended, with Beram Kayal favourite to continue alongside Dale Stephens in midfield. Anthony Knockaert and Solly March are in contention to start out wide on the left side, with Jose Izquierdo favourite to retain his role on the other flank. At the back, Bruno offers an alternative to Ezequiel Schelotto on the right of defence. Steve Sidwell and Jiri Skalak are both sidelined. Tottenham suffered a 3-1 home defeat at the hands of Premier League champions Manchester City on Saturday night, a result that ended a six-game win streak and a 14-match unbeaten run in the top flight. They still have a seven-point lead over fifth-placed Chelsea and look in no danger of losing their place in the Champions League for next season. Spurs won the reverse game held in December against Brighton 2-0 and are unbeaten in 12 matches away from home, winning each of their last five on their travels. Tottenham play in the FA Cup semi-final this weekend, which could well see Mauricio Pochettino rotate his squad for this fixture, with Serge Aurier, Victor Wanyama and Heung-min Son possibly coming in for Kieran Trippier, Eric Dier and Erik Lamela. Up front, Harry Kane will lead the line once again, with Christian Eriksen and Dele Alli likely to retain their berth as offensive midfielders. Lucas Moura is expected to play at some stage after his cameo last time out. In defense, Toby Alderweireld is back in the squad and could also be afforded a rare start, and partner Jan Vertonghen at the heart of the back. Danny Rose and Harry Winks remain sidelined through injury. Get 25/1 Spurs to win vs Brighton with Paddy Power! Customers can get Tottenham at an enhanced 25/1 to beat Brighton. Max Stake £1. Winnings paid in free bets, valid for 7 days, only deposits with cards/Paypal count. Exchange and multiple bets excluded. T&C’s Apply. 18+|Gamble Aware. Here at BetAndSkill we strive to provide all our readers with the highest prices on all the match we analyse. This sections contains the best odds on the Brighton vs Tottenham match winner market! 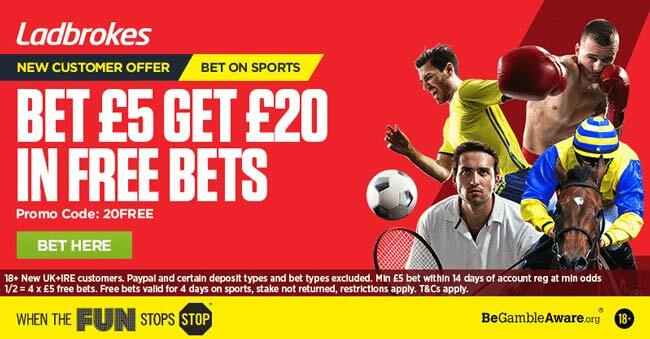 Plus, bookmakers are offering price boosts on this match! We suggest you to visit our Enhanced odds section! BetAndSkill's professional tipsters have analysed all the relevant factors related to this match and these are our recommended bets on this match! You can, or course, add all these to an accumulator. We offer some fantastic accumulator tips here at Bet and Skill and request your own odds via a "Request a bet" feature! Do you want to read our Premier League free picks and betting accumulators? Please visit our Premier League free predictions! "Brighton vs Tottenham predictions, betting tips, lineups and odds (Premier League - 17.4.2018)"